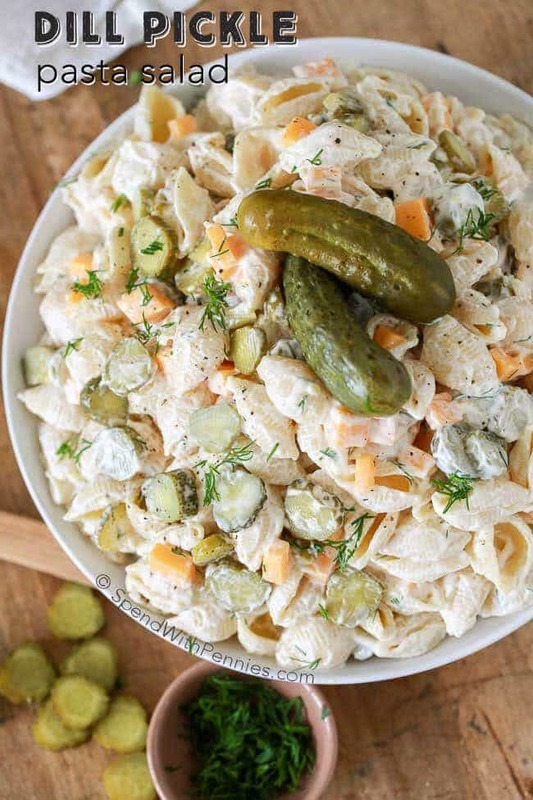 If you love the flavor of dill pickles, you need to give this creamy, crunchy dill pickle pasta salad recipe from Spend With Pennies a try. 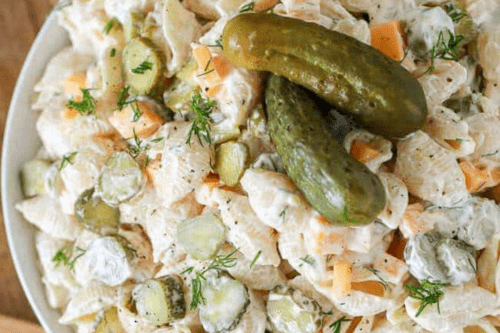 Of course, pasta salad is not the only dish in which dill pickle is popping up. Devotees to the humble pickle have been incorporating it in all kinds of unexpected ways. Take, for example, this dill pickle bacon grilled cheese sandwich. It’s salty, tangy, crunchy, cheesy and just downright delicious. 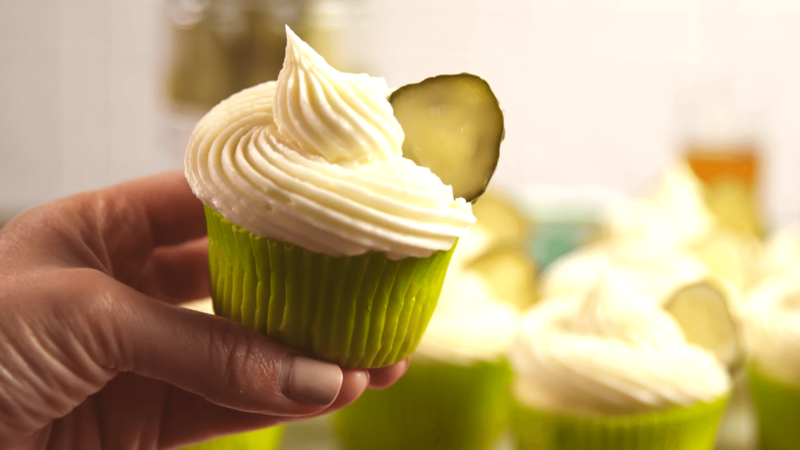 People have even found a way to get dill into desserts, like with these salty-and-sweet dill pickle cupcakes. The green color would make these the perfect treat for a St. Patrick’s Day celebration. If you feel like the world has gone pickle-crazy, it turns out our obsession with pickles and everything pickle-flavored actually comes with some health benefits. They’re packed with vitamin K, which helps maintain strong bones and also helps your body stop bleeding if you’re injured.